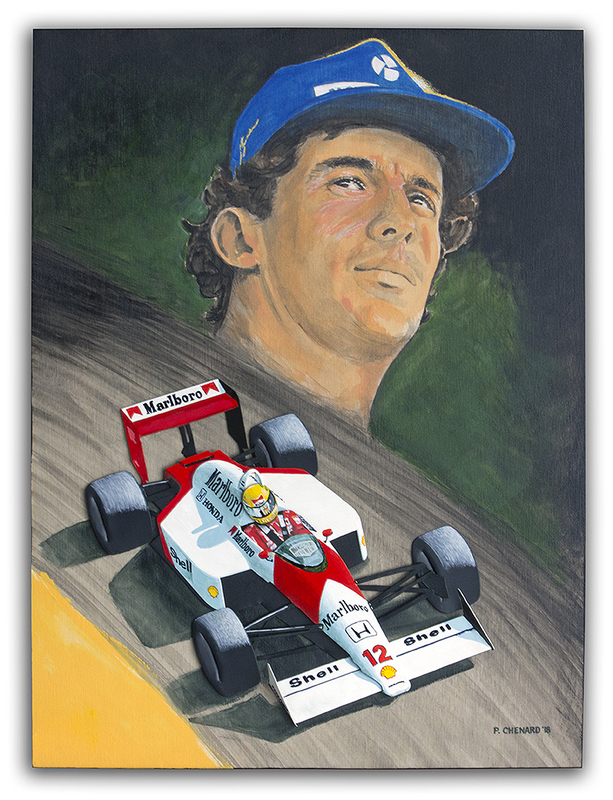 In the late 1980’s/early 1990’s, Formula 1’s brightest star was Brazilian driver Ayrton Senna. 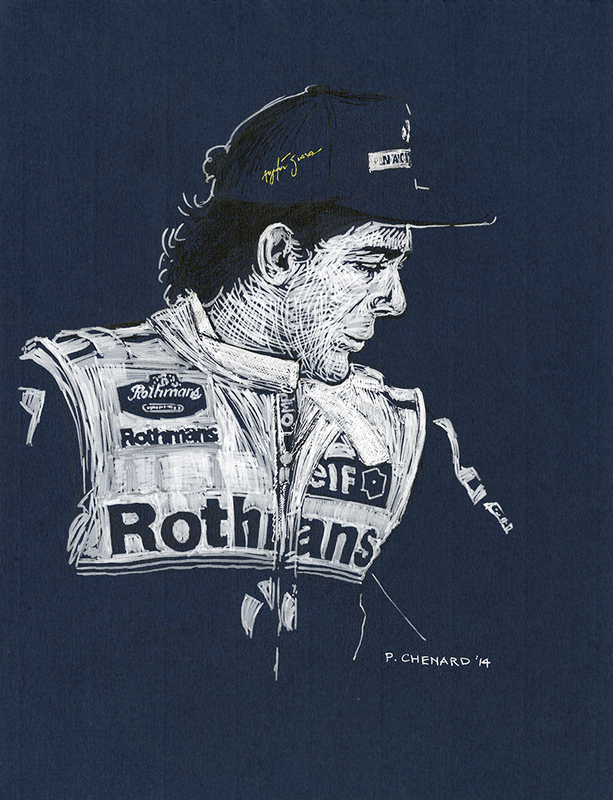 Born on March 21st, 1960, Senna started racing karts at a young age, then moved into open-wheeled Formula 3, winning the 1983 British Formula 3 Championship. 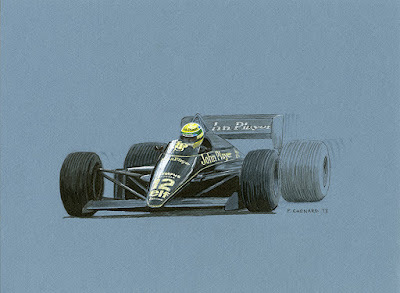 He entered Formula 1 in 1984, driving for Toleman-Hart, before moving to Lotus-Renault for 1985 and winning his first race in the Lotus 97T at the rainy Portuguese Grand Prix. After his three seasons with Lotus, in 1988 he moved to McLaren, joining teammate Frenchman Alain Prost. 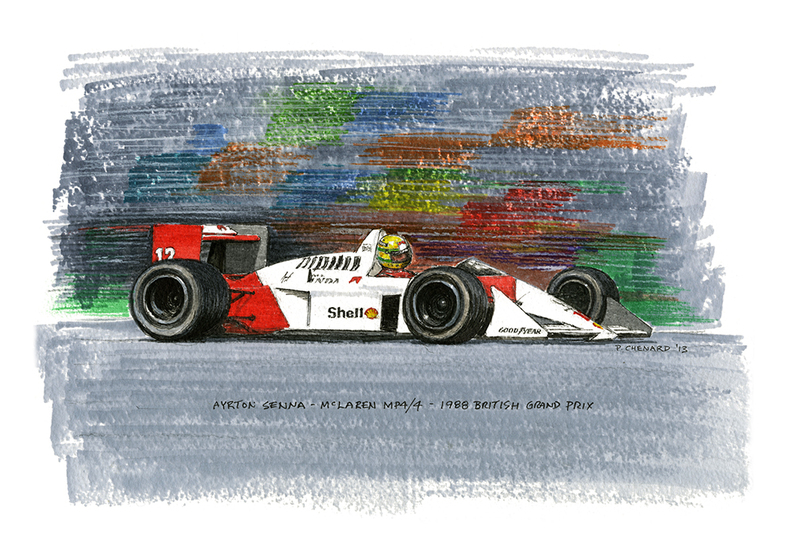 A very strong rivalry developed between Prost and Senna, yet Senna won 8 of 16 races in the McLaren MP4/4, and took the Formula 1 Driver’s Championship. This, combined with Prost’s 7 wins, gave McLaren their 4th Constructors’ Championship. Senna stayed with the McLaren team through to the end of 1993, winning 2 more Championships (1990, 1991) before moving to the Williams team for 1994. 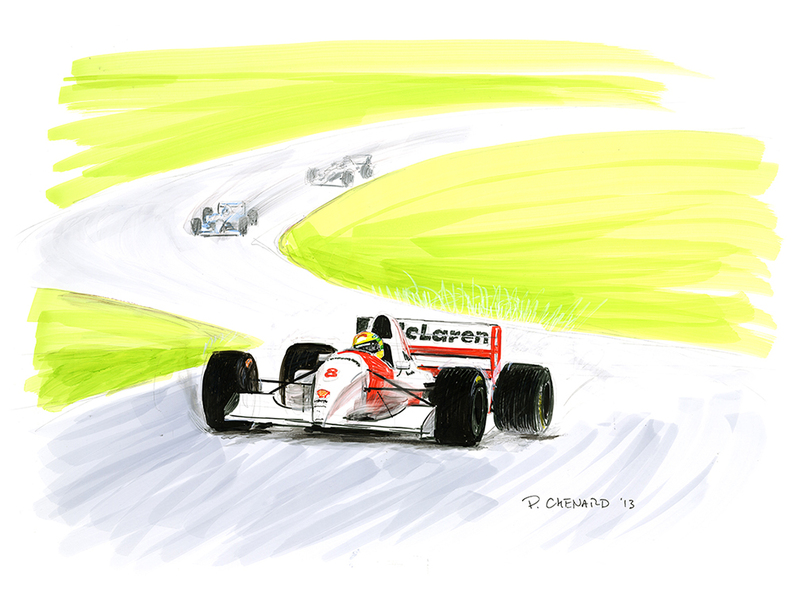 The 3rd race of the 1994 season was held in San Marino. Sadly, in the Saturday practice session, Austrian driver Roland Ratzenberger died in the crash of his Simtek-Ford. During the Sunday May 1st race, Senna crash his Williams, hitting the wall very hard on the 7th lap, and never regained consciousness.